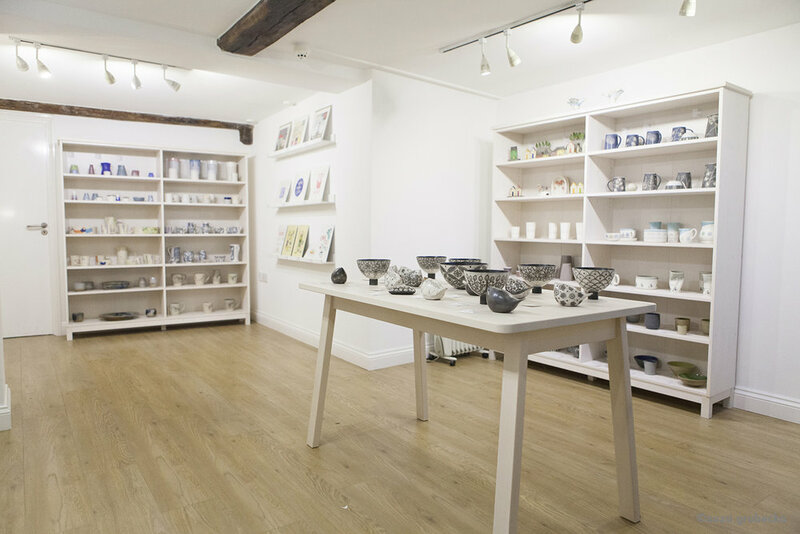 cambridge contemporary crafts was opened in 2009 on Bene't Street, as a sister gallery to cambridge contemporary art in Trinity Street. Situated just a stone's throw from King's College, the gallery is in the heart of the beautiful, historic University city. Housed in a beautiful 16th century building located just opposite St Benet’s Church, (the oldest church in the City), we are two doors down from the famous Eagle pub. Since opening cambridge contemporary art in 1990, we have gained a reputation for our extensive range of high quality work and innovative exhibitions of local, national and international artists. The gallery atmosphere is open and welcoming to all visitors. Our friendly staff will be delighted to assist you if you require and we are always happy to provide information about all the artists/craftspeople shown. cambridge contemporary crafts specialises in crafts handmade in the U.K. The gallery has an extensive range of work by up and coming and established crafts people in a range of mediums. If you've got a friend in Cambridge with a big occasion coming up and you'd like them to choose a unique gift at the gallery, you can buy a Gift Voucher online here that they can spend any time at Cambridge contemporary crafts and Cambridge contemporary art.